We are an Independent tyre fitting depot. We always have a massive selection of tyres in stock. The origins of the parent company date back over 20 years, as two partners set about opening a shop whos sole intention was to offer the general public an option on how tyres were bought. The mission statement has always been based around Delivering on time and in full, which essentially means that what we promise a customer, we will strive to deliver. From those humble beginnings, not much has changed. We still operate out of Southampton, and we still offer a unique experience. 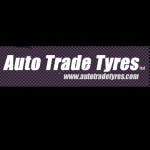 Down to earth, honest and willing to help anyone out, we firmly believe that Auto Trade tyres, and www.autotradetyres.com will become the standard in which all other retailers will want to beat. We hope to do business with you soon. Yesterday I received outstanding service. Everyone welcomed me and were very friendly. Lee dealt with my problem ( repair to my tyre) he was polite ,patient and reassured me. Whilst my tyre was being repaired a young lad came over to pump up my other tyres, which I thought was great service and attention to detail. Overall my experience today was excellent, I will definitely be back and I highly recommend. Thank you very much. I wouldn't usually consider leaving a review about a tyre company however the service I received today from the manager Lee was second to none! As a lone female it can often feel intimidating getting things attended to on your car but I was made to feel at ease, they explained that they were unable to fix my tyre due to the severe damage caused to it by a huge bolt/nail but they would have normally tried to, I did not feel under any pressure especially as money is tight close to Christmas. They fully explained the prices and the options for a different tyres that I could buy without any pressure or making me feel stupid!!! It was fitted quickly, politely and without fuss. Keep it up the great work guys you deserve a big Christmas bonus!!! HAVE USED AUTOTRADE TYRES FOR ABOUT 20 YEARS. HAD 2 TYRES FTTED TODAY. SERVICE IS GOOD AND SO ARE THE PRICES. called friday for odd size 17 inch motorcycle tyre, promised to have in next days delivery, fitted and on my way before 9.30am sat morning. Price quoted was price payed, cant fault service, very happy. Requiring two new front tyres for my Ford Mondeo I phoned Auto Trade Tyres for a quote for "supply and fit". Being a cynical old bugger, I was surprised at the cost quoted which was quite a bit less than I thought it would be. I was also informed the tyres I wanted were in stock. Next morning, arrived at about 0915 and was immediately seen by a polite, friendly and efficient young man. he confirmed the quote, sorted the tyres and off I went after paying the quoted price. A fast and efficient service, at a low price. I have phoned auto trade tyres for a price on some tyres, i was asked if i had prices from elsewhere and replied yes and told them the cost, these were from tyreland. They asked to call me back, which they did tony the owner called back and said he had phoned tyreland and you can not get them at that cost, i replied yes i can. Tony the owner then said go and buy them from them then and put the phone down on me. I can not believe he treats his customers like this, i for 1 run my own business and would never treat my customers like this. I have used them before and also recommended them to all my customers, after this i will NEVER use them again and will tell all of my customers not to use them either. Tony is very unprofessional and the helpful approach they state on there website is NOT true, AVOID at all costs they are also not that cheap for tyres. I cannnot fault their friendly, prompt, efficient service - they quickly got the special tyres I wanted, then fitted and tracked them within an hour. I will definitely use them again.